1 August 2013, Singapore – Race promoter Singapore GP announces American chart-topping singer-songwriter and pop artist OWL CITY as the special guest act for The Closing Concert on Monday, 23 September. This will be OWL CITY’s first concert in Singapore. 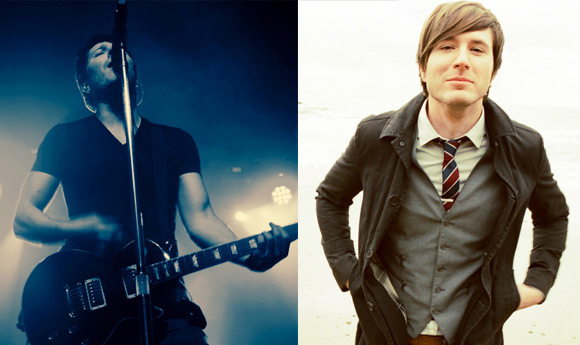 OWL CITY will join Canadian pop sensation JUSTIN BIEBER for the separately ticketed concert at the Padang Stage. This is in addition to a star-studded line-up of headliners who will be performing over the race weekend (20 to 22 September) at the Marina Bay Street Circuit, including BIGBANG, THE KILLERS, RIHANNA, TOM JONES and BOB GELDOF. Formed in 2007, OWL CITY is the electronic pop brainchild of Minnesota-born Adam Young. After gathering much attention on social networking site MySpace through the EP Of June and self-released debut album Maybe I’m Dreaming, OWL CITY signed with Universal Republic in 2008. In 2009, OWL CITY shot to fame with Ocean Eyes, its major-label debut album that spawned singles such as ‘Vanilla Twilight’, ‘Umbrella Beach’, and the quadruple-platinum chart-topping single ‘Fireflies’. OWL CITY’s debut album has sold well over a million copies and was certified platinum by the RIAA in April 2010. OWL CITY returned in 2011 with All Things Bright and Beautiful, which peaked at #2 on Billboard’s Dance/Electronic Albums chart. The following year, in 2012, OWL CITY released The Midsummer Station, an album that saw Young collaborating with other artistes such as Blink 182’s Mark Hoppus on the song ‘Dementia’, and on ‘Good Time’. OWL CITY has also contributed to movie soundtracks such as ‘When Can I See You Again’ from Wreck-It Ralph, collaborated with Yuna for ‘Shine Your Way’ from The Croods and ‘Live It Up’ from the upcoming Smurfs 2. The multi-talented singer-songwriter was given due recognition with OWL CITY scoring notable nominations for Best Track (‘Fireflies’) at the Q Awards 2010, Most Popular International Artiste at the ARIA Awards 2010 and Top Dance/Electronic Album for Ocean Eyes at the Billboard Music Awards 2011. Access to the Padang to catch The Closing Concert is via Connaught Drive. The artiste line-up and performance times are subject to change. Please refer to www.singaporegp.sg for the latest entertainment schedule. Entry to The Closing Concert on Monday, 23 September is separately ticketed. Tickets are available at www.singaporegp.sg, via the ticketing hotline +65 6738 6738, as well as at all authorised ticketing agents. All 2013 FORMULA 1 SINGTEL SINGAPORE GRAND PRIX race-weekend ticketholders (20 to 22 September) will enjoy a preferred pricing of S$98nett for The Closing Concert on Monday, 23 September. Fans who do not hold 2013 FORMULA 1 SINGTEL SINGAPORE GRAND PRIX race-weekend tickets (20 to 22 September) can purchase The Closing Concert ticket at S$148nett. * Artiste line-up subject to change. * Access to the Padang Stage concerts on Friday, Saturday and Sunday (20 to 22 September) are included in the price of the 2013 FORMULA 1 SINGAPORE GRAND PRIX race-weekend ticket. * Access to The Closing Concert on Monday, 23 September, is separately ticketed.